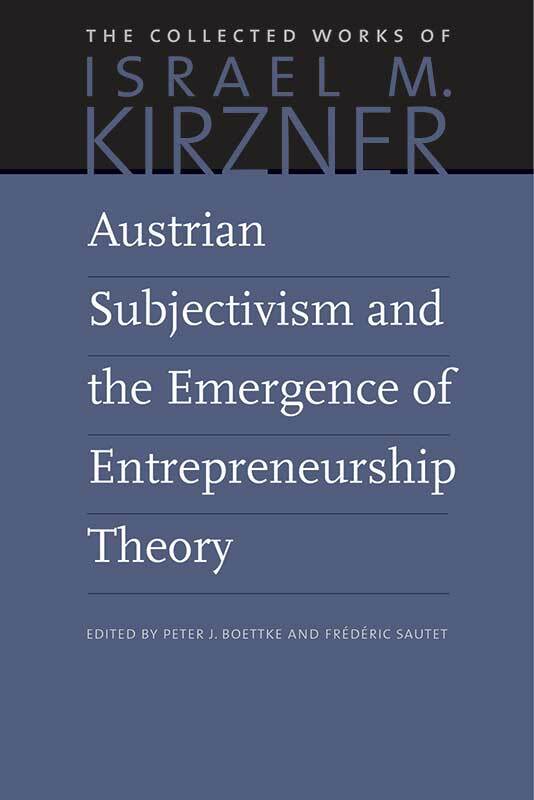 Austrian Subjectivism and the Emergence of Entrepreneurship Theory comprises several of Kirzner’s previously published papers on the subjects of methodological subjectivism and the history of entrepreneurship theory—topics of primary importance in Kirzner’s economic thought because one cannot fully understand entrepreneurship theory without considering subjectivism. Frédéric Sautet is an economist and a specialist in Austrian market process theory. He has taught at The Catholic University of America, George Mason University, New York University, and the University of Paris Dauphine.